T his newsletter is published on the 2nd and 4th Friday of each month. 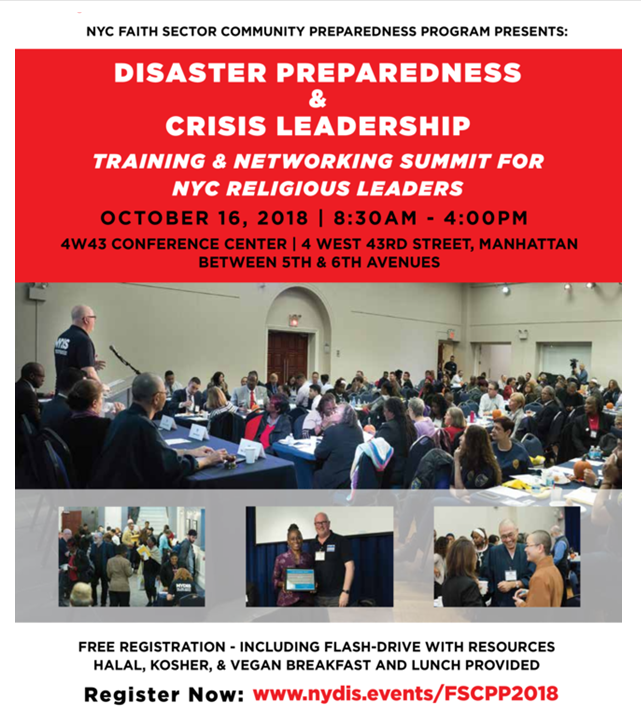 All items for potential inclusion must be submitted via email to newsletter@presbynyc.org by noon on the Wednesday before the newsletter in published. The next issues of the newsletter will be published on October 26th, November 9th and 23rd. All items are subject to review and editing. Timely submission does not guarantee inclusion. Information, articles and links in this newsletter are provided for information only to the congregations and members of the presbytery. Nothing in this message should be construed as the official position of the presbytery unless noted as such. I will be in Ghana with Dr. Yaw Frimpong-Manso and small contingent of PNYC members October 15-25. I will be meeting with leaders of the Presbyterian Church of Ghana and the Evangelical Presbyterian Church of Ghana, both denominations having members who have migrated to NYC and are part of this presbytery’s ministry to Ghanaians. Dr. Yaw, you may know, is an ex-Moderator of PCG and I am grateful for the many connections he has made already for me to speak and preach in Ghanaian churches and with leaders. I also had the opportunity to meet with Dr. Robina Winbush (a PNYC member and the PCUSA’s Associate for Ecumenical and Interfaith Relations) last week to discuss growing relations with Reformed church partners globally. This trip also will help me face the very people whose ancestors were taken into slavery in America, and whose descendants live among us. This is America’s original sin that still remains active in systemic racist practices in church and society. Pray for me and how our denominations may become one in the mission to which Christ calls us. Regarding international relations, Kori Robbins, our Young Adult Volunteer, would like to visit or speak with every congregation and fellowship to document how our 103 faith communities are engaged in international and global ministries. It may be a mission trip the church has taken, a missionary in another country your church supports, some project which your church supports, or your church’s participation in a network of congregations or denominations engaged in another country well-being and development. I know anecdotally many of our congregations are engaged as I hear your stories. Kori wants to document and pin this on a global map in the presbytery office. Welcome her. Some good news: The Board of Pensions saw an uptick of 21% participation in the benefits plan in the past year with the largest increase being church employees not ordained using the menu of options and ministers who were not previously in the plan. The 2019 benefits plan provides for more options for church employees and ministers who may have thought benefits too expensive or beyond their reach. The Rev. Dr. Allison Seed, our regional staff person for the Board of Pensions, will be here for two seminars (same focus) October 30 6:00-8:00 PM and October 31 10:00 am – 12:00 noon at the Rutgers Presbyterian Church . Allison wants to show you these new choices for churches and those employed by churches to have health and pension benefits. It is one way churches care for those they employ. COM and CPM members also are encouraged to attend to better serve churches and the pastors and candidates considering ministry in congregations. The peace of God be with you, and the love of Christ with all that do to love God and neighbor. There are several upcoming events, a movie viewing and a training sponsored and or endorsed by the Committee on Witness to Society and the World (Justice Ministries Committee). Following are dates and times of these events. Full details, including flyers, location dates & times and registration information can be found here. Please plan to attend as you are able. Also, share the information far and wide! For more information about any of these events, or to have your congregation’s event on social justice included in future email newsletters, contact Mark Koenig . B y the time Newark (N.J.) Presbytery was invited to participate in a two-year Vital Congregations Revitalization Initiative pilot program, it had already been placed under an administrative commission in the Synod of the Northeast . The Being Reformed workbook series, currently with eight titles, offers in-depth study if church life. Many of these titles are available in Spanish, and two titles are available in Korean. 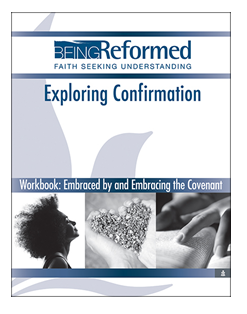 Each workbook connects faith to head, heart, and hands, and provides study material, questions for reflection and discussion, and space for individual journaling. Visit now to see individual product descriptions. Look for the red rectangle on each product page to download a free sample. 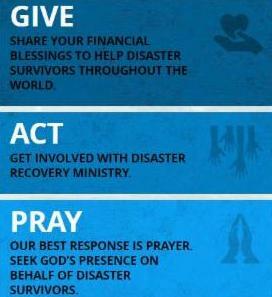 Presbyterian Disaster Assistance (PDA) urges your support for those affected by Hurricane Florence. 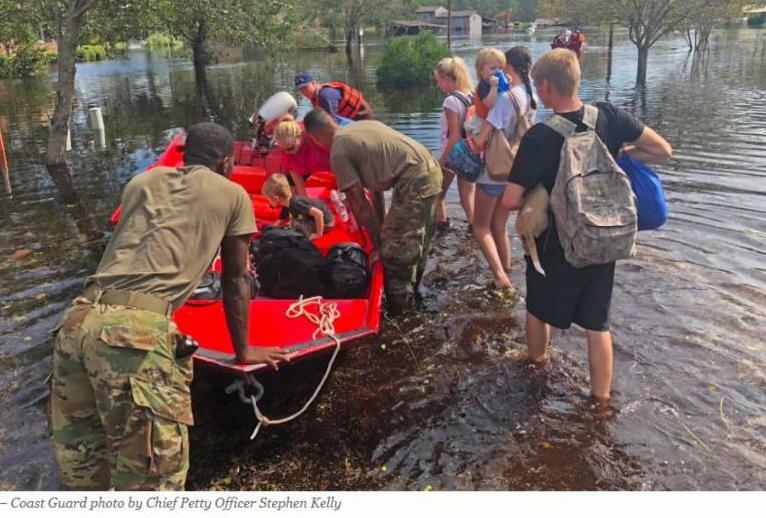 PDA is delivering immediate aid to those impacted by Hurricane Florence on the eastern seaboard of the United States. Initial assessments suggest catastrophic destruction, but the full scope of the damage will not be known for many months. Learn more. 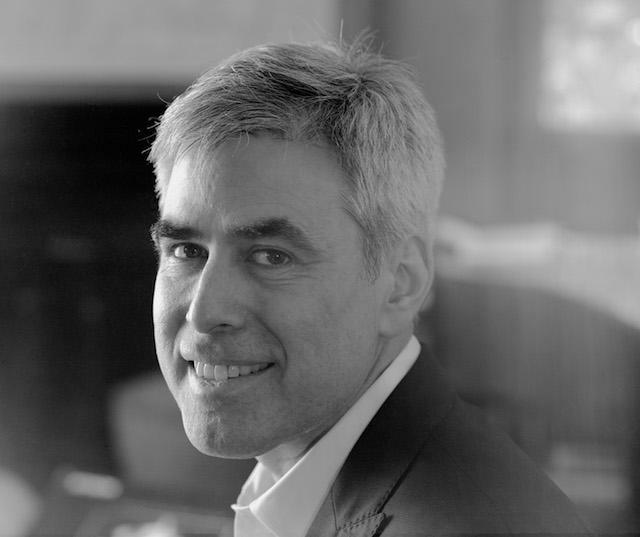 N ew York University social psychologist and best-selling author Jonathan Haidt will inaugurate the Anita and Antonio Gotto Lecture Series at Fifth Avenue Presbyterian Church on Thursday, October 25th, at 7 PM. This event is free, but registration is required. “The Gotto Lecture Series is intended to create provocative opportunities for learning and engagement with some of the best minds in religion and ethics,” says Senior Pastor Scott Black Johnston, who will moderate the event. “At a time when Americans are divided sharply, and angrily, by politics and ideology, Jonathan Haidt helps us understand the causes of our deep polarization. More importantly, he offers hope that we can come together and heal." Haidt is the Thomas Cooley Professor of Ethical Leadership at New York University’s Stern School of Business. His research focuses on the use of moral psychology to transcend the “culture wars," enhance public discourse and foster more civil forms of politics. Join the Association of Presbyterian Church Educators for their 2019 Annual Event! C ome be refreshed, gather with old friends and meet new ones. Come be inspired by uplifting worship and thought-provoking speakers. Come explore new ways to engage our vision for faith formation through worship and mission. 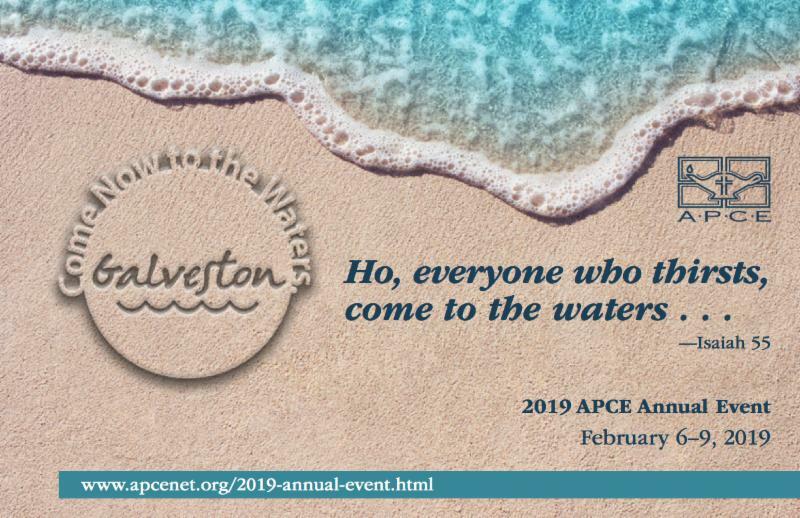 Come to the waters in Galveston, TX and be a part of the 2019 Association of Presbyterian Church Educators Annual Event. We can’t wait to see you! M any churches think that the key to getting people to stay is cool music, a free visitor’s gift, and good programs for kids. Thom S. Rainer president and CEO of LifeWay Christian Resources is not saying those things are bad, He is saying that if you think these things you do for guests will help them stay, you’re missing the point. People stay at a church for different reasons. But there are a few recurring reasons why people stay, no matter the denomination or non-denominational background. Time and time again, he see churches focusing on the wrong things. They get someone in the door but don’t do any follow up. They don’t provide space for new attendees to meet the pastoral staff. They don’t take time to explain the vision of the church. They assume new attendees are already getting plugged in simply because they have a “Connection Desk” set up in the lobby. They spend more time focusing on getting new guests and zero time thinking about how to keep those guests. Helping new attendees assimilate to your church is a must. If you aren’t doing it, then you need to find someone in your church who can help lead out on this important ministry. Register for Thom's free webinar talking about this. The webinar will take place on Monday, October 15th at 11:00 am EDT. 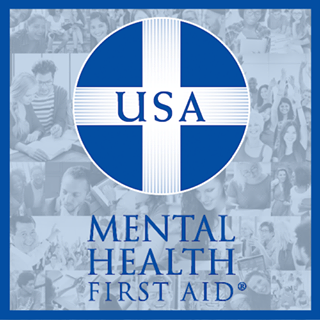 T he goal of Mental Health First Aid is to increase mental health literacy. Like CPR training helps a non-medical professional assist an individual following a heart attack, Mental Health First Aid training helps an individual who doesn’t have clinical training assist someone experiencing a mental health crisis. In both situations, the goal is to help support an individual until appropriate professional help arrives, with the added underlying intention to promote health literacy. Mental Health First Aiders learn to apply a single strategy in helping someone through a panic attack, engaging with someone who may be suicidal, supporting a person experiencing psychosis and helping an individual who has overdosed. In practicing the intervention strategy, Mental Health First Aiders learn the risk factors and warning signs of specific illnesses such as anxiety, depression, psychosis and addiction; engage in experiential activities that build understanding of the impact of illness; and learn information about evidence-based treatment and support - ultimately building participants' mental health 'literacy'. 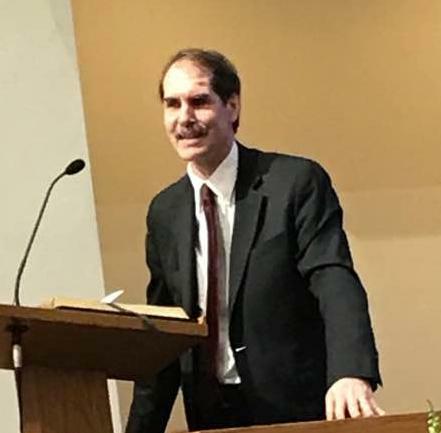 G ot Sermon?, Union Theological Seminary’s biannual, lectionary study series, brings the gifts of their faculty to their alumni/ae, students, neighbors, and friends who primarily serve congregations. During the fall semester, join them for Truth Telling in Shifting and Familiar Seasons with Dr. Lisa Thompson, Assistant Professor of Homiletics, Dr. Phyllis Trible, Baldwin Professor Emerita of Sacred Literature, and Dr. Brigitte Kahl, Professor of New Testament. Tickets are $50. The cost of the event includes lunch and light refreshments. You are invited to attend the 11th Annual From Pulpit to Bedside Seminar: "Shared Wisdom: Intersubjectivity as Hospitality in End-of-Life Care" sponsored by VNSNY Hospice and Palliative Care and underwritten by a generous grant from Dignity Memorial. This year's program features Rev. 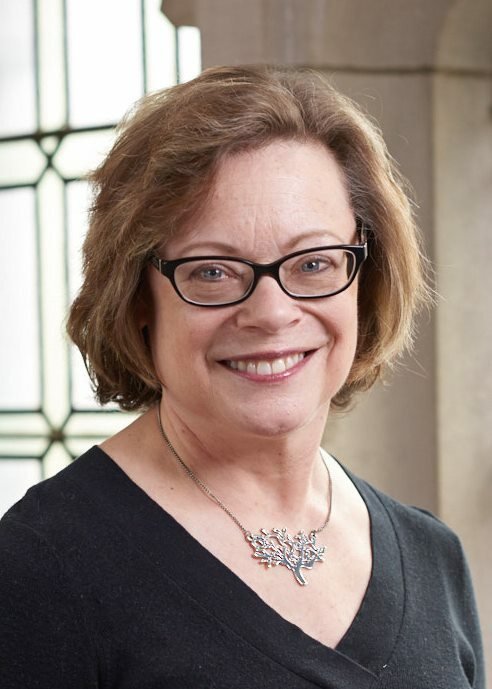 Pamela Cooper-White , Ph.D. , is the Christiane Brooks Johnson Professor of Psychology and Religion at Union Theological Seminary, New York since 2015, after many years as professor at Columbia Theological Seminary and Co-Director of the Atlanta Theological Association's Th.D. program in Pastoral Counseling. Space is limited so register now ! T he Third Annual Interchurch Center Conference will take place on Thursday, November 8 th at the Interchurch Center, at 475 Riverside Drive in New York. Below is the link to register for this FREE event through Eventbrite . The conference is organized by the Council of Church Advisors, Interchurch Center and Capell Barnett Matalon & Schoenfeld. There will be networking breaks and lunch served, and the event will conference will conclude with a reception in the Interchurch Center art gallery. On Calling a Pastor , is a resource for pastor nominating committees and mid councils is now available. Each section of the manual builds upon the next to walk users through the call process highlighting the partners in the call process, polity, using the CLC system, and emphasizing the need for spiritual discernment. The resource is in PDF format. It may be read online or downloaded and printed. "On Calling a Pastor" includes videos, links to online resources, case studies, and "teach the teacher" Power Points for those training pastor nominating committees. Download the full handbook or individual chapters. You may also watch supplemental videos. To access the video links from within the PDFs, click on the icons found in the various chapters. The Church Leadership Connection staff is here to serve you. If you need any assistance or have questions, contact them by phone at 888-728-7228, ext. 8550, or by email at clcstaff@pcusa.org . More information on these positions can be found on the PC (USA)'s Church Leadership Connections (CLC) website. Click here for CLC's website . Help your congregation's members stay connected with the latest news and opportunities in and around the presbytery by subscribing to Happenings In & Around the Presbytery, the Presbytery's electronic newsletter. 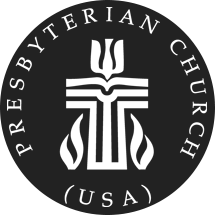 Keep members updated and apprised of Presbyterian events, resources, grants, and opportunities. Have members fill out the contact information form so that their email addresses can be added to our subscribers list. Click here for the Contact Information Form. Once completed return the form to the presbytery office or email it to Yzette Swavy-Lipton . 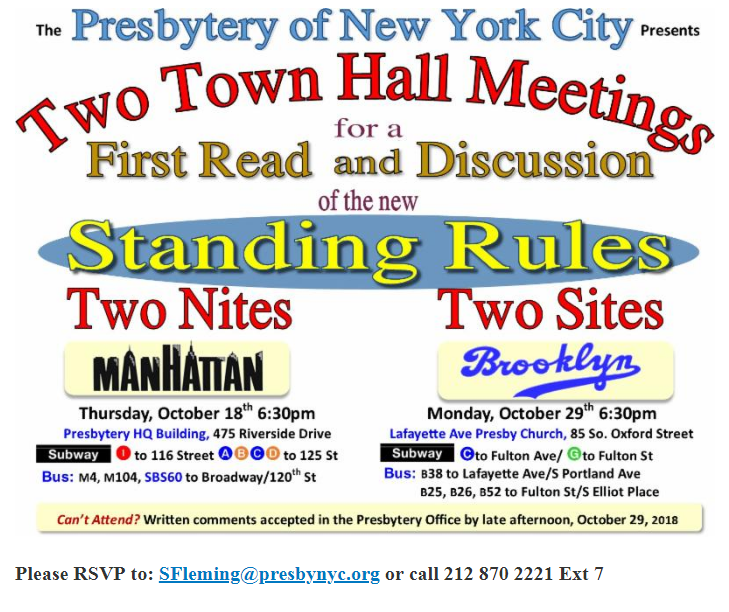 Need an address or phone number for a church or a member of the NYC Presbytery? No need to call the office to get that information. You only need to log into the Presbytery ACS Database System and viola, the information is right at your fingertips. ﻿If we have your contact information in our database you only need to create an account within the ACS System. If we do not have your contact information click here for the Contact Information Form. Once completed return the form to the presbytery office or email it to Yzette Swavy-Lipton so that you can be added to the database. The ACS Member login Instructions will walk you through the process of creating an account. Once you have setup an account there is an option to download ACS's Church Life App for your mobile phone (iPhone and Android).